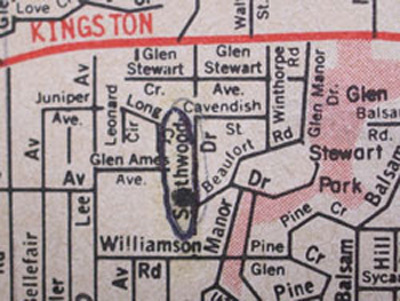 Tag: English 1981 ← Please click here. Tag: English 1982 ← Please click here. Tag: English 1983 ← Please click here.Other English Version ← Please click here. It’s June the 6th. I prepared a lunchbox and put it in my canvas bag. I got on a streetcar dressed in pants and sneakers. It is a fine day. 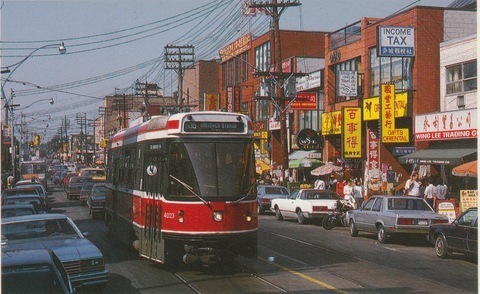 After leaving Yonge Street, the streetcar enters slum areas. 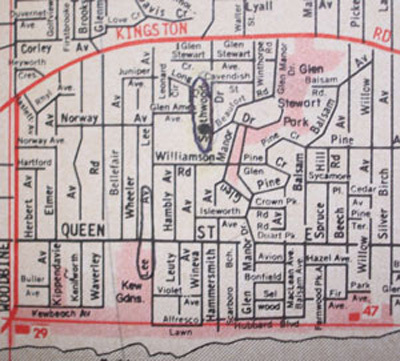 There is a rather extensive poor district in the urban area of Toronto. Gradually we reach middleclass district, and the part around Lee Avenue where I get off looks solid. On the other side of the greenery on my right there is a park that looks like a postcard projecting the blue of the lake. The scenery reminds me of the one I used to see as a child. There were green pines on the south side of a train station on my way to the kindergarten where pines hadn’t wilted because of pine weevils. When I walked up Lee Avenue I saw a school that Gould had attended. 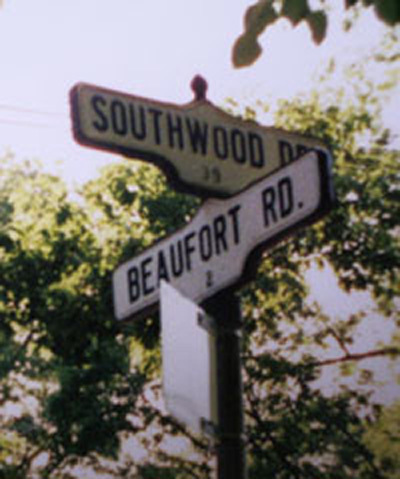 There I turned right and reached Southwood Drive. Then, I continue walking to the north. My heart is pumping so hard I feel like it’s going to jump out of my chest. Oh, such cute small houses! I thought all houses in Toronto were big. Even looking from the outside, I can see their interior is stylish. I can see a baby buggy. What a pity!! I catch a glimpse of a woman. Maybe it’s Gould’s big sister. His parents must have moved somewhere else. In September 1978 I sent Gould a birthday card to his parents’ address. I am deeply moved. 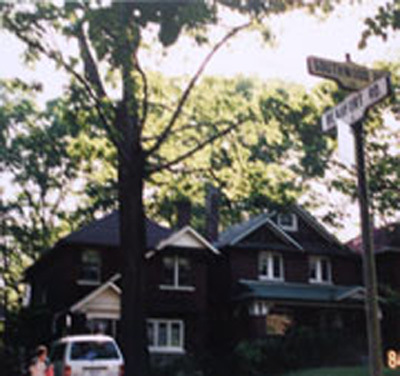 It’s a house where Gould used to live. Somewhere on the second floor there is a room where he spent his boyhood. I, who has been soothed and comforted by that man’s music, am standing now in front of his childhood home, my long-time dream finally coming true. I move from across the street to a bit more elevated place, to watch the house and ponder. I want to take one more final look at the house. My journey ends here.